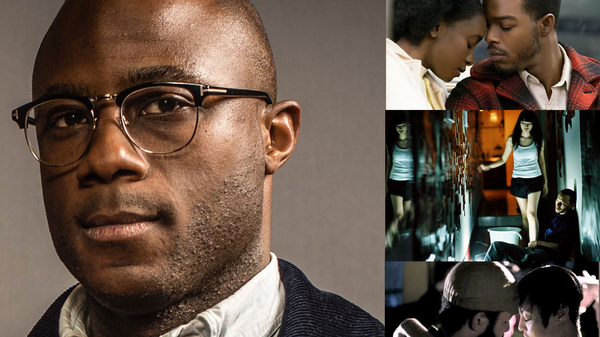 To mark the release of Barry Jenkins’ assured adaptation of James Baldwin’s If Beale Street Could Talk (out on Fri 8 Feb), throughout February we’re revisiting this brilliant director’s previous work and some of the key influences on his new film and his iconic, Oscar® winning masterpiece Moonlight. As well as his exquisite coming of age drama Moonlight (Sun 24 Feb), we'll rediscover Jenkins' acclaimed San Francisco set debut Medicine for Melancholy (Sun 17 Feb) and its astute exploration of black identity and self-discovery. Plus Claire Denis' corporeal study of masculinity Beau Travail (Sun 3 Feb) and the beautiful romantic triptych Three Times by Taiwanese director Hou Hsiao-hsien’s serve as two key examples of the type of European and Asian cinema that has influenced the work of one of the most talked-about independent film directors of recent years. An exquisite coming of age drama, Barry Jenkins' Oscar® winning masterpiece chronicles the life of a gay black man from childhood to adulthood as he struggles to find his place in the world while growing up in Miami. Though it seems as if Barry Jenkins sprung out of nowhere with his Oscar® winning Moonlight, he’d actually been directing projects for more than a decade - the most notable of which is this rarely screened San Francisco set drama and astute exploration of black identity and self-discovery. The structure of Taiwanese director Hou Hsiao-hsien’s beautiful romantic triptych gave Barry Jenkins his answer to a dense riddle of how to unpack Tarell McCraney’s novel, meld it with his own voice, and present what ultimately would become the Oscar winning film Moonlight to an audience. One of the clearest influences on Barry Jenkins' Moonlight, Claire Denis’ corporeal study of masculinity set amongst the French Foreign Legionnaires welds near-experimental formal minimalism with a savage exposure of male aggression, jealousy and repressed homosexual desire.